Number 12 on this list, Skate Nation roller skating rink, has now closed. We all remember what it was like to be a teenager. You don't feel like a kid anymore so anything aimed at younger kids is just so lame. However all the cool things you want to do are for people older than you, so then you are technically too young. It is a time where you are stuck in the middle and find it hard to think of fun things to do to get through the holidays. Spending time with the family may also be off the list of cool things to do, however this is also the best time to try and connect as a family to get through these tricky years. If you live in Canberra or are visiting on holidays and wondering where to go with a teenager in your family, the following list may give you a few ideas to get you started. There is a large gap between what 13 year olds like to do and what 17 years olds like to do, as well as taking their interests into account. It can also get expensive going out each day as a family, so you also need some cheap or free ideas to throw in the mix. So run this list by the teenager in your life and see which ones result in a "Great idea!" or at least a grunt with a small amount of enthusiasm. This can often be translated to mean the same. 1/ Tourist Attractions such as the National Dinosaur Museum, Canberra Deep Space Communications Complex (free), Questacon , Canberra Walk In Aviary, National Zoo and Aquarium, Canberra Reptile Zoo and Cockington Green Gardens are all venues that will be enjoyed by the younger teenagers in your family. 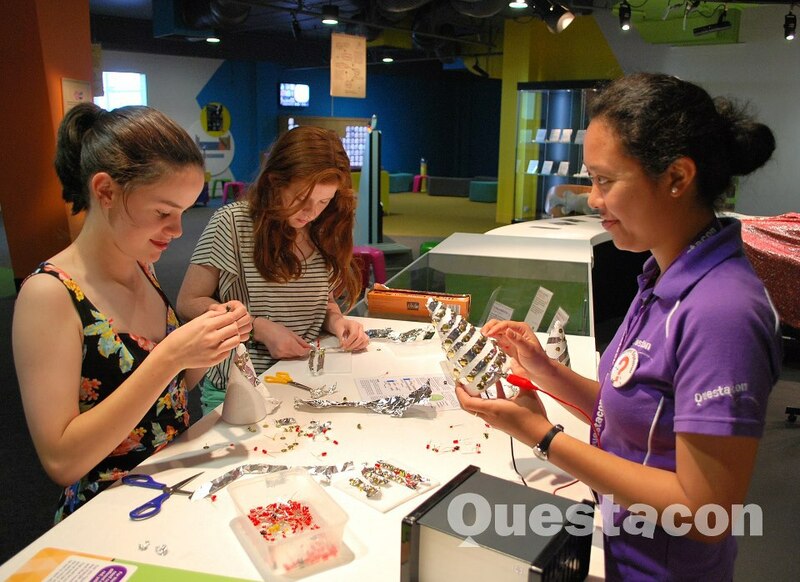 Questacon in particular is a popular science museum designed for kids of all ages to experiment and have fun with hands-on activities on every floor. 2/ Tours are a great way to learn more about the city and have a laugh at the same time. In particular Segway tours around the city are popular with teenagers as they can speed along and see the sights at the same time. Also the Australian Institute of Sport (AIS) has tours that are designed for families and all ages to meet the athletes and see behind the scenes of the facility. If your teenager has an interest in sport, or was inspired by the recent Olympics, then this will be a way for them to learn more about each individual sport and what it takes to be an athlete. 3/ Pokemon Go is a craze that is sweeping Canberra (at the time of writing) and teenagers around the Capital are getting caught up in the fun. If you want some fun with your teenager, then get them to teach you the rules and go hunting for pokemon together. 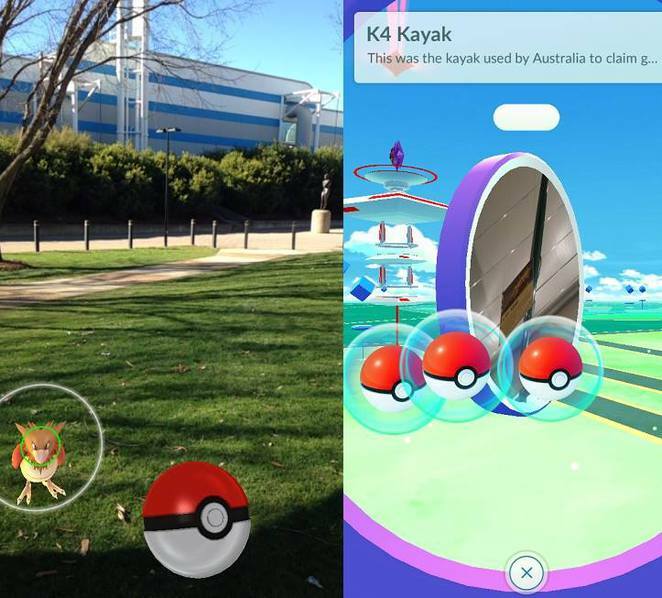 To learn more about where to meet up to find out more, see the Pokemon Go Canberra Public Facebook. Free. 4/ Iplay is a games arcade located upstairs at Belconnen Westfield Shopping Centre. Put some money on your Iplay card and battle it out at laser tag, car racing, basketball hoops, ten pin bowling, pool, dodgem cars and other arcade favourites. See here for an article on Iplay and see website here for details. 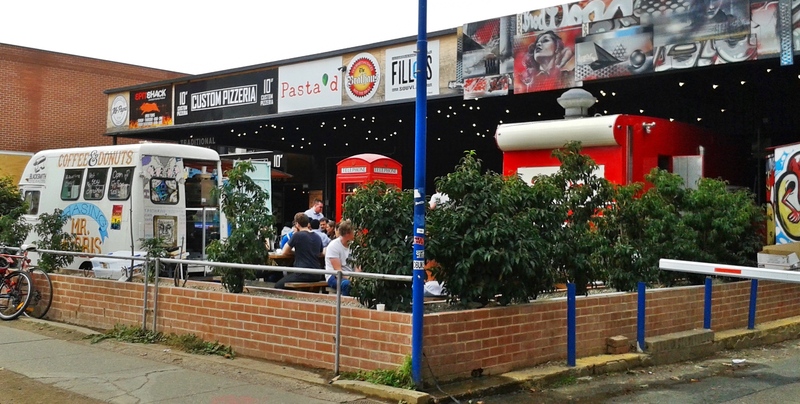 Iplay is situated opposite Hoyts Belconnen, so you can do both on the one day. A great rainy day idea. 5/ The Find a Park tool on the ACT Government website is a handy way to find out more about what to do at the surrounding national parks and reserves. Depending on how you would like to spend the day, click on the icons for fishing, bushwalking, river swimming, horse riding, BBQ's, cycling or camping and find maps on how to get there. See the website here for details. If you enjoy a bit more action and adventure, see Action and Adventure Sports in Canberra for more ideas. Free. 6/ Guild Board Game Restaurant is a fun place to take your teenager and kids of all ages, for a pizza lunch and to play some retro board games together. 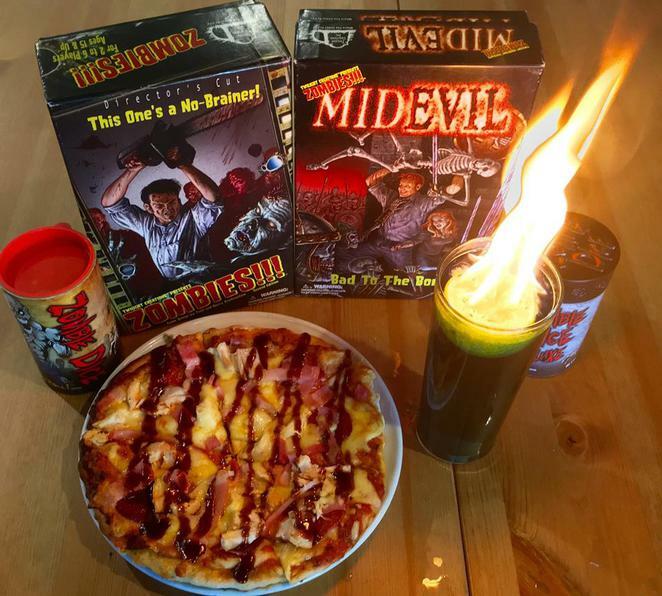 Although popular with the university age group in the evening, it is also suitable for all the family with a huge range of games for all ages, from Harry Potter to Horror and everything in between. Check out the Guild Facebook and website for menu and details. 7/ Mini Golf is another enjoyable way to spend the morning with the whole family, as you each try to outdo each other with skills and trick shots. In Canberra there is an outdoors mini golf course at Yarralumla Play station, as well as indoor mini golf at Mini Golf King at the Canberra Outlet Centre in Fyshwick and Jungle Mini Golf at the venue below. 8/ Go Karting isn't a cheap way to spend the day, however it does bring out the competitive side in all ages and can be a great way to have fun as a family. Power Kart Raceway at Griffith has electric go karts and a full sized track to speed around. Whilst you are there, choose between Go Karting or Jungle Mini Golf, with both available in the same indoor location. See website here for details. 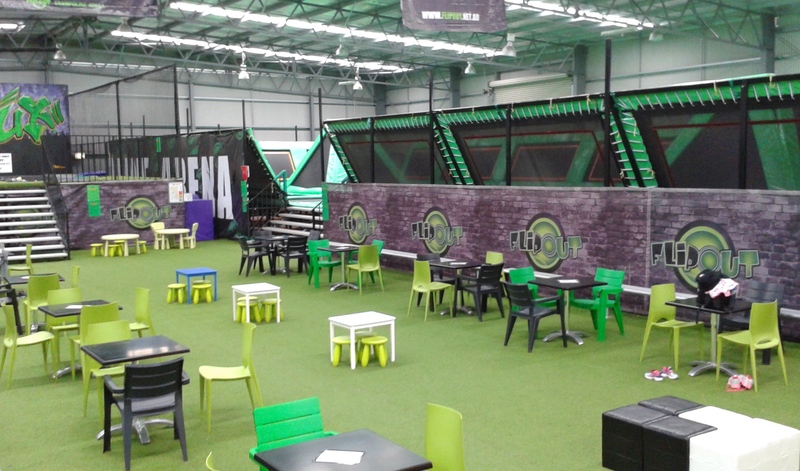 9/ Trampolining Centres in Canberra are Flip Out (in Mitchell and Hume) and Skyzone in Belconnen. These trampolining centres are ideal for all ages of teenagers and adults to jump together. Skyzone in particular has extra activities such as basketball hoops to challenge their skills and dodgeball arenas. 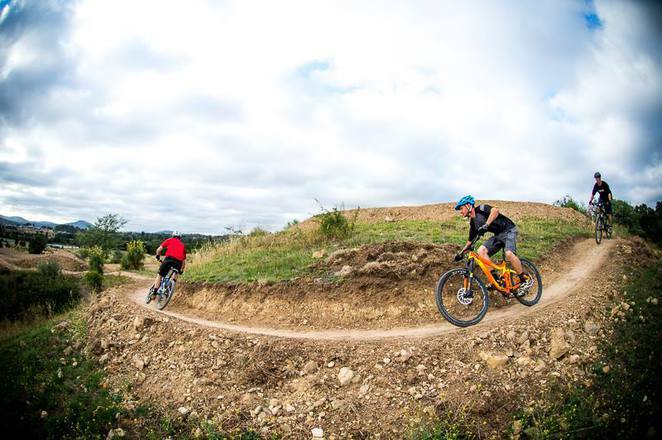 10/ Stromlo Forest Park is a free venue where you can take your mountain bikes and BMX's and traverse the many bike paths that wind around and down the hill. This is a world class facility only 20 minutes from the CBD. See the website here for details. Also bike riding around Canberra's Lake Burley Griffin is a scenic way to get outside and explore the city with pedal power. See the website here for details. Free. 11/ Canberra Glassworks have classes on the first weekend of each month, all year around. These classes are designed for kids and adults over 14 to learn how to do glass blowing, making glass beads, flame work and glass engraving. Why not do a class together and learn a new skill while enjoying time in each other's company. See the website here for details. 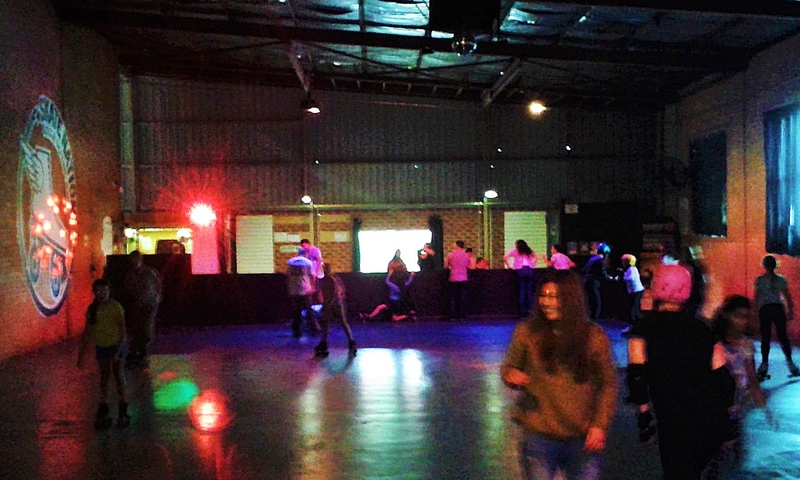 12/ Roller Skating is available at Skate Nation in Fyshwick and is the only roller skating rink in Canberra. This small rink is popular with teenagers for birthday parties and weekend skating, with disco ball and music pumping. Mums and dads and the rest of the family will also get a kick out of this family friendly venue. Lessons are available. See the website here for details. 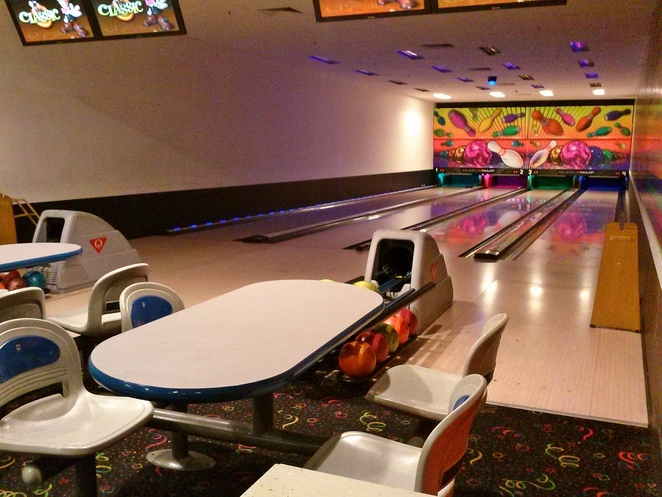 13/ AMF Bowling is located at Belconnen (north of the city) and Tuggeranong (south). Get a group together, play some arcade games, eat some hotdogs, groove to the music and spend the morning getting turkeys at ten pin bowling. 14/ Cinema's around Canberra are Dendy in the CBD, Palace Electric Cinemas in New Acton, Hoyts Belconnen, Capitol Cinema's in Manuka, Hoyts Woden and Limelight Cinema's in Tuggeranong. Who doesn't love a reclining seat, a huge box of popcorn and watching the latest movies? 15/ Skate boarding ramps around Canberra are another way for families to spend time with their skating teenager. Watch them do their tricks or watch other skaters do their moves on these quality skate bowls. Younger kids in the family can also take their scooters. The most popular skate ramps are at Emu Bank in Belconnen and Eddison Skate Park in Woden. See here for a full list of skate parks in Canberra. See the Canberra Skateboarding Association website for updates and events. Free. 16/ Tidbinbilla Nature Reserve is located 45 minutes south west of the city. It is an ideal place to go bushwalking, see aboriginal sites, spot koalas and walk The Sanctuary boardwalk to spot platypus. See the website here for details and daily entry fees per car ($11.50). 17/ Museums around Canberra may be of little interest to teenagers, however if they have an interest in art at school they may enjoy the National Gallery of Australia and National Portrait Gallery. If they enjoy history at school then the Australian War Memorial and Old Parliament House. If you want to teach them about politics then Parliament House is an interesting place to go for all ages, especially if you get to see Parliament in action or see news reporters out the front. The National Museum of Australia is also educational to teach them about Australia's past, present and future (also with KSpace), whilst the Royal Australian Mint will show them where Australia's coins are made. Free. 18/ Corin Forest Mountain Retreat is located 45 minutes from the CBD and 25 minutes from Tuggeranong. In winter they have snow play areas and learn to ski areas and in the warmer months they have the Southern Hemisphere's longest bob sled ride - perfect for teenagers to control their own speed and enjoy the thrill of speeding down the hill. The more you ride, the cheaper the price, so buy a multi trip pass at the entrance. They also have wood fired pizzas to enjoy for lunch. See website here for more details. 19/ Events in Canberra are on almost every weekend, with a wide variety of teenage friendly things to do. In January there is Summernats, in February there is the The ActewAGL Royal Canberra Show, in March there is the Canberra Balloon Spectacular, in winter there is outdoor ice skating at the Winter Festival, each August there is the Big Boys Toys Expo and in spring there is Floriade, just to name a few. 20/ Big Splash Waterpark is open in the summer months only and is a family friendly location to spend the day with all ages. For daredevil teenagers and parents, there are 9 slides to choose from including the Speed Coaster - see the Big Splash Waterpark You Tube advertisement for this below. See website here for details. For more ideas of where to take your teenager, also check out these articles: Westside Acton Park (food trucks and basketball court), The Hamlet (food trucks), Wood Fired Pizza's in Canberra City, Canberra's Best Ice Creameries, 50 Things to do in Canberra for Families, Buffet Breakfast Locations in Canberra, Bike Riding in Canberra, Canberra Indoor Rock Climbing, Phillip Ice Skating Centre, Canberra's Family Friendly Pubs, Canberra's River Swimming Holes, Free BBQ's areas - Lake Burley Griffin and City and Top Dessert Cafes in Canberra City. So you have made it to the end of the list - did you get some ideas to help you on your way? If you are a local or a visitor to Canberra and you discovered more places that your teenager enjoyed, please make a comment on the bottom of this list to share it with others. Hopefully somewhere along the way you will hear the golden words that all parents of teenagers love to hear - "Wow, that was really cool - what are we doing tomorrow?" What a lovely article, Sue - definitely no excuse for boredom with your extensive list!